How to bring your novel to life. OK, I own up. The title to this blog is slightly misleading because if you were expecting a writing lesson, you are going to be disappointed. In fact, to be perfectly honest anyone seeking a writing lesson from me is going to be disappointed because as I’ve written many times, I don’t actually know how I’m getting away with it so I am hardly qualified to advise anyone else! No, the title to this blog refers to them actually taking on a three dimensional form in the actor sense. 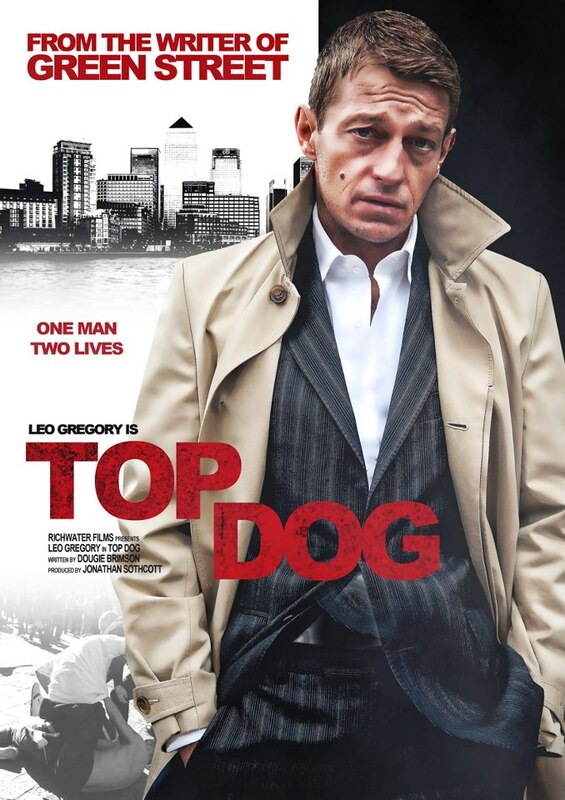 Because after what seems many years of what feels like post-Green Street herculean effort, it appears that one of my projects is finally making the leap from ‘almost there’ to ‘off and running’ with the announcement that Universal Pictures UK have signed as the distributors of my adaptation of Top Dog. Full details of that can be found here. So, how did this happen? Well the truth is, like many of the events which form what can laughingly be called ‘my career’ it was down to moaning. And to a lesser extent, Twitter. I won’t ramble on too much, but the short version is this. One day, as I was trawling Twitter in an effort to avoid actually writing, the name Leo Gregory popped up. Now Leo, as many of you will know, is the actor who played Bovver in Green Street and gave, quite simply, the stand out performance in the movie. He’s also a top bloke and so I dropped him a note and asked if he fancied taking a look at a project I thought he’d be perfect for. Luckily, he agreed, loved it and so at the back end of last year, we met and chatted. Inevitably, talk turned to Green Street, the many imitators it spawned and the fact that in both our opinions, no movie thus far has actually failed to pull off the whole ‘hooligan’ ‘lads’ thing convincingly. This moaning led into discussions about my novels The Crew and Top Dog which in turn led to a meeting with the legendary producer that is Jonathan Sothcott (which is a tale in itself). The rest as they say, is history. Now, the point of all this is that like all writers, when I set out to create something, be it a book or a screenplay, it gets to a point where it takes on a life of its own. Up to now, I had always believed that there was only so much I could do after that point had been reached but this is clearly not the case at all. Because as I have recently discovered, the key to success is moaning. And thankfully, it’s something that I’m not only exceedingly good at but which I also enjoy with a passion. Previous PostHow NOT to sell your eBook.Next PostWhy part of me hopes Watford don’t win promotion to the EPL.